There is the 2019 Climate Talks Follow-up. At the end of 2018, we told you that there was a consensus within CENFACS so that our Climate Talks Follow-up project gets to the next level from 2019. The next follow-up will be on Taking Climate Protection and Stake for African Children at the Implementation Level. It is the Phase 3 of our Climate Talks Follow-up project. Phase 1 was the First African Children Generation of the Millennium Development Goals and the Climate State, while Phase 2 was Climate Protection and Stake for African Children. The details of this new follow-up will be unveiled in due course. 2019 is the year end of CENFACS’ 2010s Poverty Relief Programme, which has been our 10 year work plan that began on 1 January 2010 and will end on 31 December 2019. In 2017, we conducted an evaluation, review, survey of this programme. As a result, we upgraded it. As we will be moving into a new decade in 2020, we are starting some rounds of reflections and conversions about the next programme of our poverty relief work. From March 2019, we shall conduct another review and discussion on the 2010s’ record and look at prospects. These rounds of discussions, thoughts and consultations with CENFACS’ stakeholders will enable to shape up the future of our poverty relief work. We hope that by the end of this year, we will be able set up another programme, the Twenty-twenties (2020s). Each year, we try to find the best way to meet the needs of our project beneficiaries while remembering some of the key works we did with them and exploring innovative ways to re-engage with stake holders. We do it by dedicating the year to a particular memorable theme. As result, 2019 has been declared as the Quadranscentennial Year for CENFACS. This dedication makes another new development this year, which is the 25th anniversary of the concept of CENFACS. This year will be the 25th anniversary since CENFACS was created. It is the Quadranscentennial Year for CENFACS or the “Q” Year (1994 to 2019). It is the year we are starting to talk about Generation CENFACS as a period of 25 years for CENFACS as a sustainable creation alongside with other creations we made with it. We are working on the best possible ways to celebrate this Silver Jubilee of CENFACS as a quadranscentennial creation. Again, the details of this celebration will be released in due course. Our Season of Light continues with the Light Projects, as indicated on the above projects and programmes planner scheduled for January, February and March 2019. To put our Season of Light into practice, there will be two waves of advocacy work to support the victims of armed conflicts and destructive natural disasters in Africa. The first wave of action will be on the past, the legacies of the very latest disaster and war events which have left people hungry in some parts of Africa (this is our Africa Post-War and Post-Disaster Appeals). We shall as well appeal to reduce the impacts of these events and crises on agriculture and food security. The second wave of action will be on advocating for support for the victims of the current and emerging armed conflicts and destructive natural disasters in Africa. Because the nature of the events these appeals are dealing with, we may change the gear to take into account of the unpredictability of these events. We are introducing a new dimension to our Digital and Social Media Campaign; dimension which will focus on IT and Online Security. As said above, we have two new events coming up this year which are: Review and Prospects about the 2010s programme and this Year’s Dedication as the Quadranscentennial Year (or the “Q” Year). Generation Global Goals project is an online discussion regarding the impacts of the global goals on children. It will be conducted under CENFACS be-Africa forum. Our January month theme of Responsible Consumption under Consume to Reduce Poverty (CRP) and Climate Change project continues as well. Another feature of the current Season of Light is the continuing implementation of the project ABCD (Adaptation for Building Capacity and Development), project that enables us to get our mindsets, skills and capacities ready while the on-going negotiations regarding the process of UK exiting (or not exiting) the European Union are underway. Briefly speaking, the above 2019 Projects and Programmes of the Season of Light are Top Quality Reliefs for those in need. They are made with a selection of hard to find poverty relief products and services as 2019 kicks in. Every season or every month is an opportunity to do something against poverty and hardships. January is too a good and great month of the year to do it. You can donate or recycle your unwanted and unneeded goods gifts you received over the festive days to CENFACS’ Charity e-Store, the shop built to help relieve poverty and hardships. You can as well buy second hand goods and bargain priced new items and much more. CENFACS’ Charity e-Store needs your support for SHOPPING and GOODS DONATIONS. You can do something different this Season of Goods Donations by SHOPPING or DONATING GOODS at CENFACS Charity e-Store. √ SHOP at CENFACS Charity e-Store to support good and deserving causes of poverty relief this January and Winter. Your SHOPPING and or GOODS DONATIONS will help to the Upkeep of the Nature and to reduce poverty and hardships. This is what the Season of Giving is all about. When there are environmental disasters and armed conflicts, there are pledges and commitments to end the effects of wars and disasters. For various reasons, some of these pledges do not materialise. The post-war and post-disaster developments are sometimes left without support until the conflicts and disasters return and or strike again. As we cannot wait the return or repeat of the same wars and disasters, our first Blaze of Hope (Post-life Blaze of Hope) will go this Winter to the unfinished business of previous destructive wars and natural disasters as we did last Winter – the Post-War and Post-Disaster Appeal. We always advocate for preventive development and we do not seek for destructive events to happen. However, our preparedness and readiness make us to assemble as quickly as possible advocacy tools should any effects and impacts erupt from unpredictable wars and natural disasters in Africa. So, our second wave of intervention or In-life Blaze of Hope will go this Winter to erupted effects of armed conflicts and natural disasters in the areas of our interest in Africa. This is our Appeal related to Live Conflicts and Disasters. The Details of this second appeal will be released as events appear and unfold. CENFACS look forward to your support to deliver these Wintry Appeals. This campaign is part of our Digital and New Media Programmes. It is the continuation of our work on the Role of Mobile Phone in Reducing Poverty and Hardships amongst Women and Children; work which we conducted last year. IT and Online Security is not anymore a matter of security experts only. Anyone handling IT equipment and using online services needs to have basic (not necessarily expert one) knowledge and skills to protect themselves and other vulnerable people (such as children) and do their work. The IT and Online Security is a digital social media campaign to help protect vulnerable and poor people and families using IT and online technologies against various types of online threats and digital risks (such as scams and illegal and malicious practices). The campaign includes the use the e-safety tools and advice. For further details and to support this Digital and Social Media Campaign, contact CENFACS. The 7th Issue of CRP is dealing with the process of using resources to satisfy human wants and needs in making sure that products and services bought are the ones that are free from harming health, wildlife, the nature and environment. It means that before consuming, care must be taken to check and avoid products and services that contaminate or pollute water and air; sources of energy that encourage the excessive burning of fossil fuels (such as oil, coal and natural gas), cosmetic products that contain polluting agents. Using the internet, e-mail, social networks and other communication technologies; it is possible to get enough information about products and services that reduce pollution and poverty at the same time. It is as well possible to find resources and websites that compare these kinds of products, services and prices. Individual and family strategies of reducing the state of having little or no money or even no material possessions are not incompatible with anti-pollution consumption. Individuals and families (including the poor ones) can consume products and services that are free from pollution. People and families can leapfrog poverty reduction to anti-pollution consumption. Embracing the recipes of the economic model that decouples (bad) exploitation of natural resources and the desire to meet human needs and wants (circular economy), can help improve consumer behaviour against pollution. The process of using anti-polluting resources to satisfy human wants and needs can goes hand in hand with an organised system for the production, distribution and use of goods and services that takes into account the changing weather conditions. In other words, consuming anti-polluting products and resources can help reduce adverse climate change. A New Climate Economy can bring new climate educational opportunities, economic savings and improved well-being for the poor. These attributes of the New Climate Economy can help them consume anti-pollution goods and services. It is a good idea for any consumer rich or poor to check anti-pollution features on their buys and other specifications and read other people’s testimonies, reviews or comments about it. Also, one needs to be sure that the anti-pollution message advertised and marketing match products results and tests, and customer’s satisfaction. 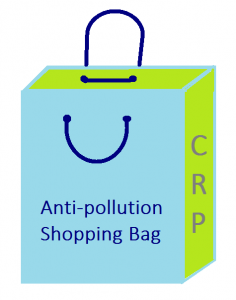 When buying anti-pollution products and services (whether using online or physical store), one needs check, compare and contrast products, terms and conditions of business, buying terms, prices etc. There is a need to check as well guarantees and safety policies against pollution. 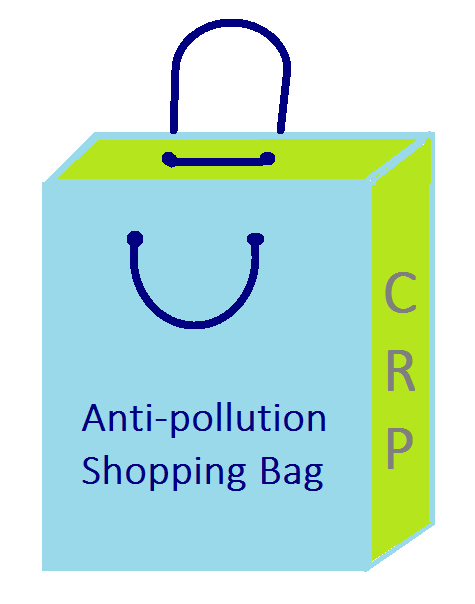 If you are buying online, before you sign up, add to your anti-pollution shopping basket and purchase an item; you need to read, discuss and check what you are agreeing on. You may even take more precautions when selecting items, filling up buying forms to enter your personal, financial information and sensitive details. You should also be aware of scams and illegal and malicious practices. For own online security, use the e-safety tools and advice. To support Responsible Consumption and get the full issue 2019 of Consume to Reduce Poverty and Climate Change, please contact CENFACS.